Vince Serci, Steve Froggatt and Mike Seversinsen may not be the biggest names in world footy – however they share a common link. 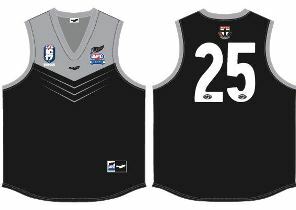 All were members of the inaugural AFL International Cup World Team from the first tournament back in 2002 and all were members of the New Zealand Falcons side that officially placed 3rd (defeating Denmark into 4th). The Kiwi Falcons are now Hawks; and while their team moniker has changed the New Zealand team has been a permanent fixture in all previous International Cup tournaments (1 of 8 nations to do so). And they will enter IC17 determined to reclaim the title. New Zealand are one of just 3 nations to take out the title – having won the tournament in 2005. 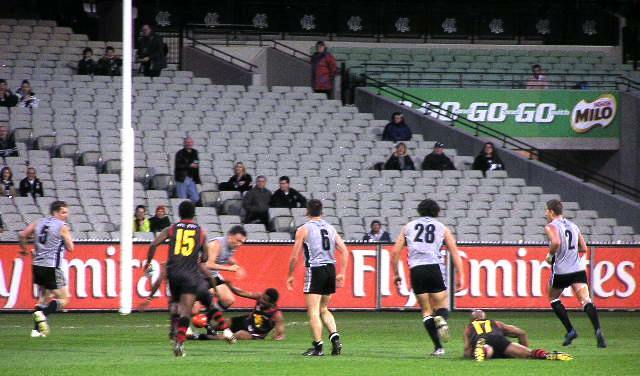 In 2008 they made the final however were unsuccessful in their title defence as Papua New Guinea took out the tournament. Since then the finals have seen the Falcons/Hawks missing the ‘big one’ while continuing to compete strongly. In IC14 the NZ v South Africa 3rd place play off was a classic IC contest with the NZ Hawks sneaking home by a point with a 3 goal to 2 final quarter. Back in 1908 at the Australian Football National Carnival held in Melbourne – New Zealand appeared for the only time in these Carnivals – and their tour included warm up matches across the country in Adelaide, Ballarat, Bendigo, Geelong, Sydney, Brisbane and Newcastle and including carnival matches the NZ side won 6 of 11 matches. It’s well enough obvious the Australian Football didn’t kick on. The coming of WWI, the growth of two codes of Rugby and the Great Depression. 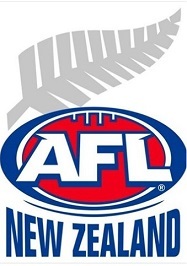 However – Australian Football has once again established a foot print in New Zealand and the foundation put in place via juniors and school programmes have in the past 2 years been consolidated via the AFLNZ Premiership tournament. The New Zealand junior programme has seen players compete against Oceania and South Pacific nations including Fiji and PNG to progress players through to the joining forces in the South Pacific representative side to compete in Australian national championships. One such player who has graduated the full pathway is Kurt Heatherley (Hawthorn) who is the current poster boy for AFL International development programmes. Starting from the AFL KiwiKick for ages 5 to 12 and through secondary schools via the AFL Cup for Junior (years 9-10) and Senior (years 11-13) inter schools competition and development. The 9 a side format of matches is fits in with the prevailing rugby size fields. And vitally AFL NZ is sanctioned by the New Zealand Secondary School Sports Council. In October this year the AFL NZ Youth competition continues for a third year – with this years format to include U/14 and U/17 boys along with U/17 girls in each of Auckland and Wellington. Ideally from this base participants can find their way to the AFL NZ Academy, the National Combine and National representation. April this year saw the first AFLNZ Women’s combine held in Wellington and was overseen by AFL Staff. And as illustrated by Kurt Heatherley – the ultimate goal may include gaining access to the AFL system via exposure to talent scouts and potential AFL International Scholarships such as Barclay Harris and Joe Baker-Thomas. The New Zealand AFL National Academy and National age group teams include Academy Level 1 and 2, the Kahu Youth Girls and the NZ U/18 sides. NZ Kahu captain from 2017 – Killarney Morey came out on top in both Standing Vertical Leap and Agility Test at the womens combine. The goal is that in April each year there is either a tour TO Australia or hosting of touring Australian teams. Earlier this year – the various squads were finalised around late March – and with a senior focus of a match up against the Australian U/17 Academy side there were also junior matches. The Anzac weekend clashes saw the Level 1 Academy side take on the NSW Independent Schools in 2 matches. The Level 2 Academy side took on the Mornington Peninsula (Vic) Junior Football League U/16s while the NZ Kahu Youth Girls took on the MPJFL Youth Girls team. The Academy sides were no match for their more seasoned opposition however the Kahu’s created history by winning both games and therefore the series to become the first NZ team to win a series over a touring Australian team. The New Zealand provincial leagues have had an augmented reality in the last 2 years via the AFLNZ Premiership that has seen 4 (super!) Clubs established for the tournament (Western Crows, Central Giants, Southern Saints and Northern Suns) and squads drafted in. All matches based at North Harbour Stadium in Auckland. This higher level of competition has provided players with the best available coaching, venue and competition. And IC17 will be the first ‘road test’ of this new AFLNZ pathway. As illustrated above the New Zealand talent pathway is evolving all the time. However the challenge is always to get players to ‘stick’ with the game. 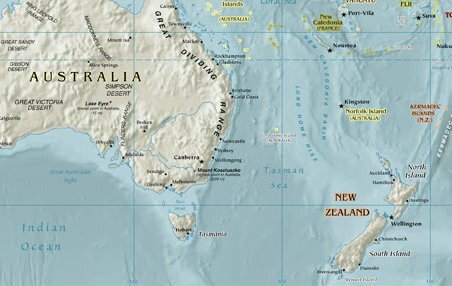 Close proximity to Australia is an obvious advantage but even so - as seen with Kurt Heatherley’s compatriate Shem Tatupu who had also made his way to Hawthorn and showed some potential playing for Box Hill – Tatupu found the journey tough and the lure to return to Rugby League too great. 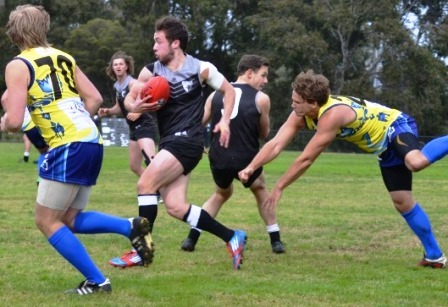 However – AFL clubs Hawthorn and St Kilda have a real interest in New Zealand and at the IC14 tournament St Kilda assistant Paul Hudson was on hand to assist the NZ Hawks and in particular Joe Baker-Thomas (International Scholarship at St Kilda). 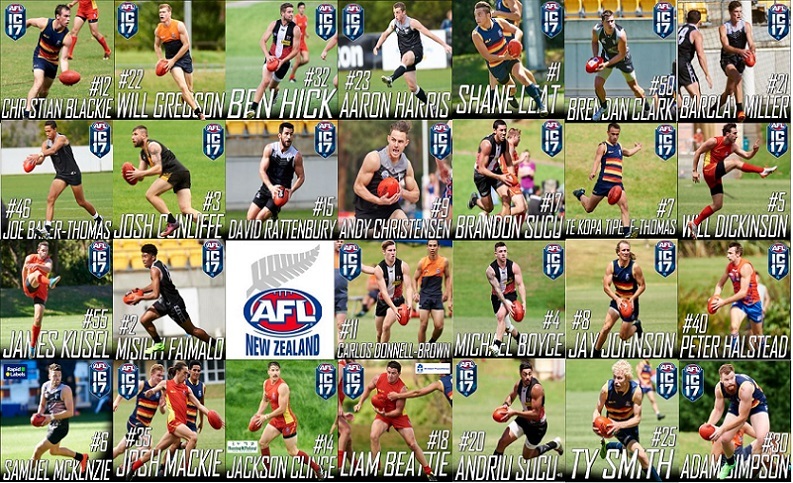 The NZ Hawks IC17 squad includes a mix of old and new with 14 players backing up from IC14. Coach Rob Malone is supported by assistant’s Justin Davies and Chris Mundell (who played in IC11 & IC14). Davies was head coach of the IC11 and IC14 campaigns. Andrew Howison (IC14 World Team 1st rover) and Aaron Harris (IC14 World team I/C) both return after making the IC14 World Team. Both played in IC11 as well, along with the returning Sucu. Other IC11 & 14 veterans include Christensen and Rattenbury while Brendon Clark and Andriu return after missing IC14. Barclay Miller and Joe Baker-Thomas, both St Kilda International Scholarship holders and both playing VFL with Sandringham.